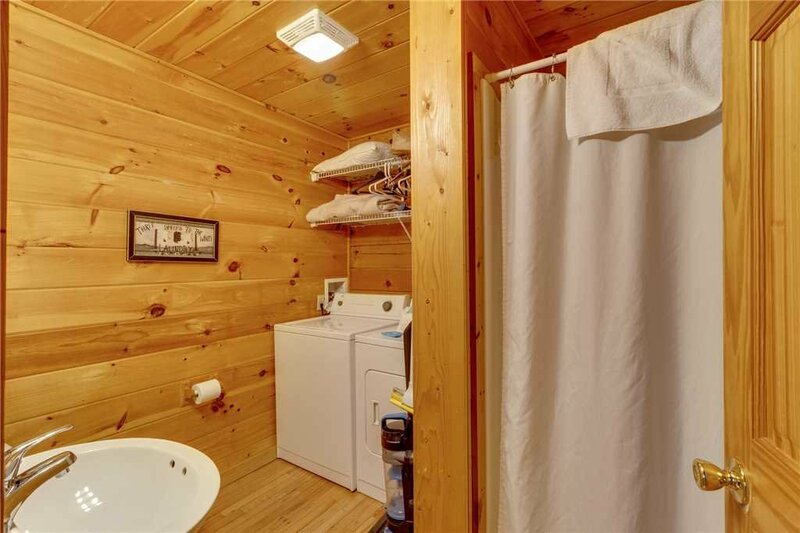 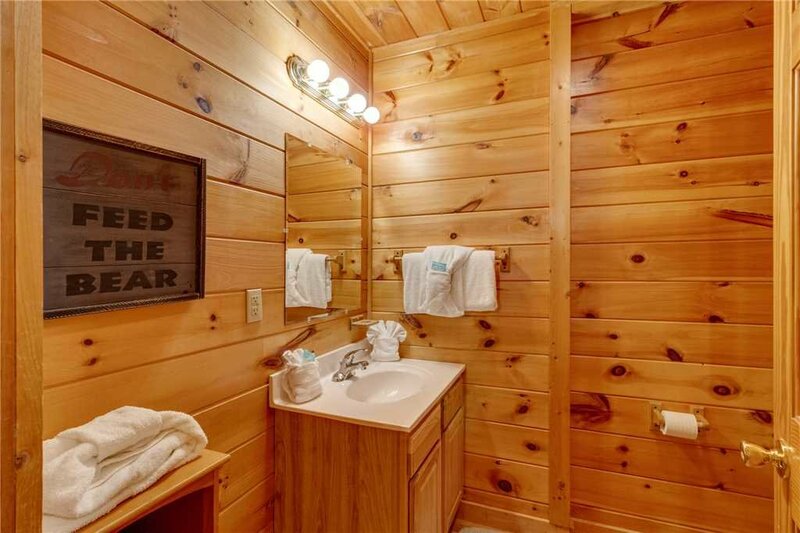 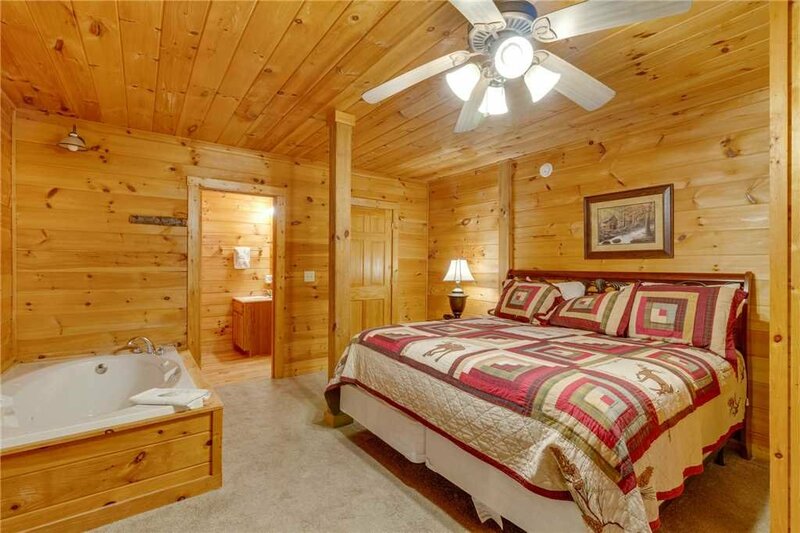 Do Not Disturb is a charming log cabin unit that offers all the comforts of home including 5 HD flat screen TV's, cable and complimentary wireless Internet. 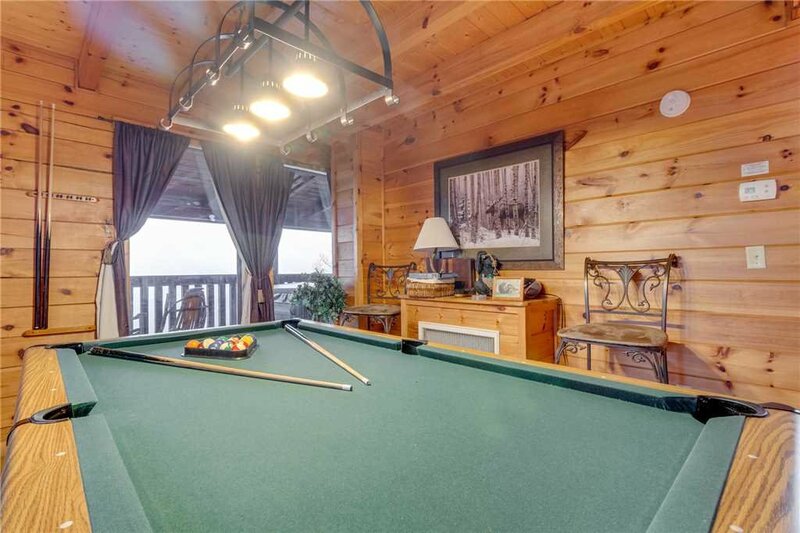 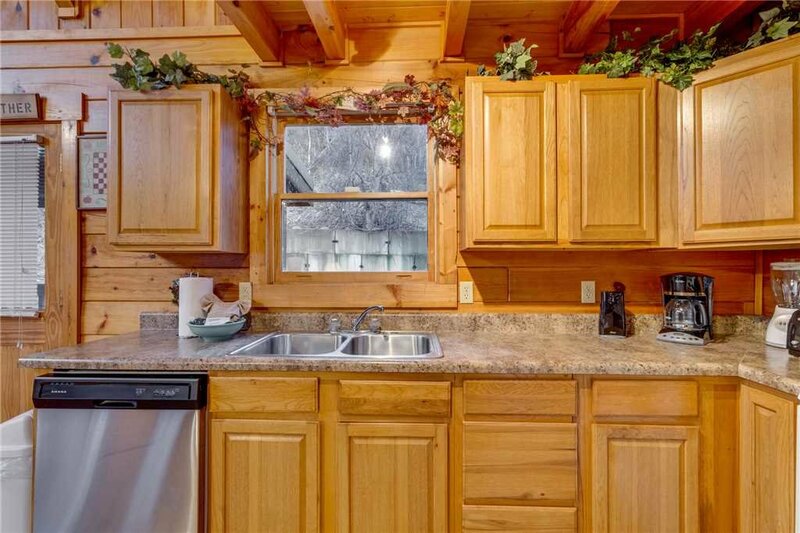 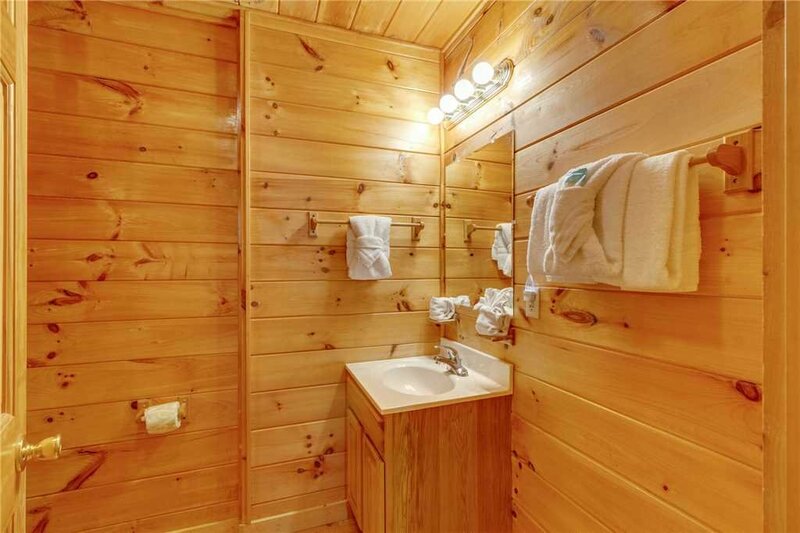 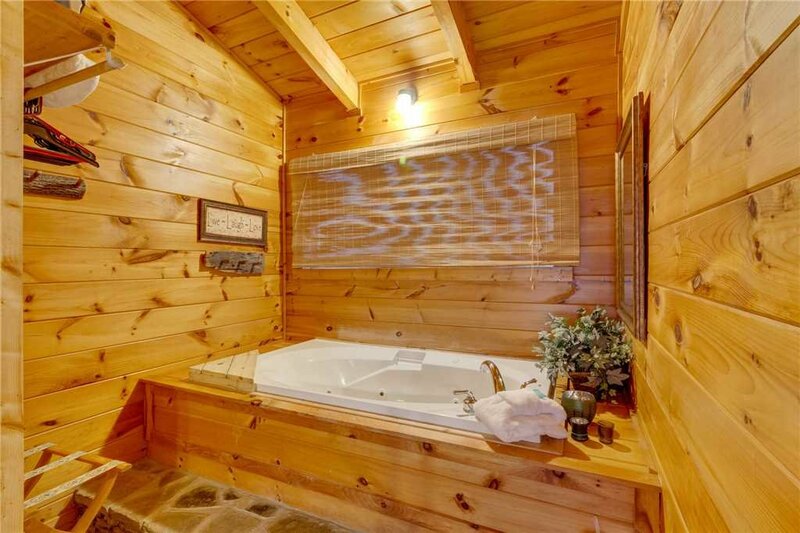 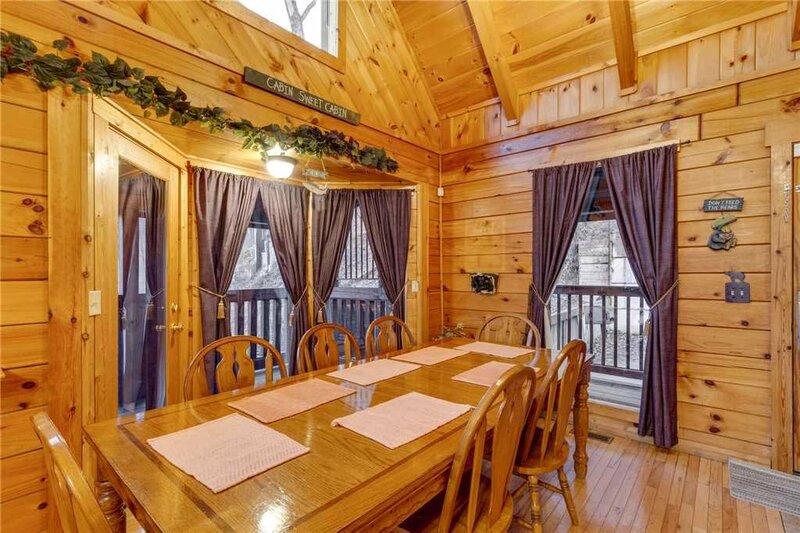 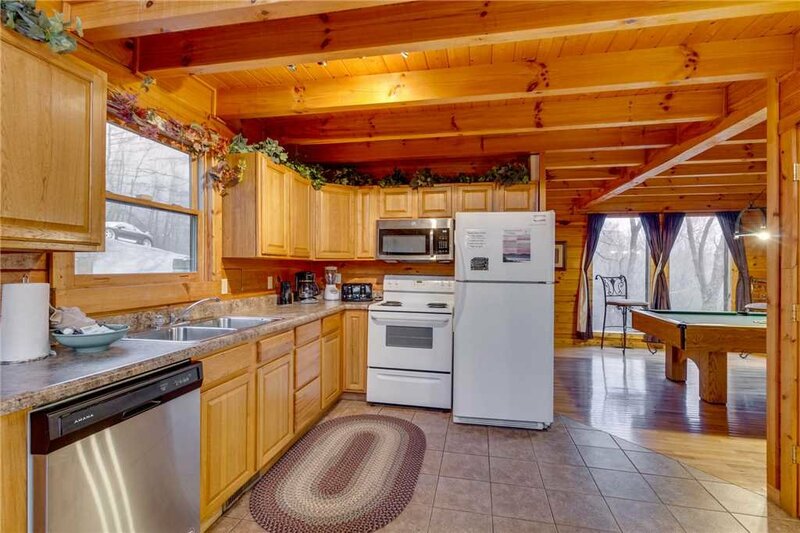 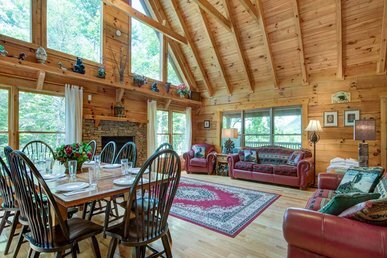 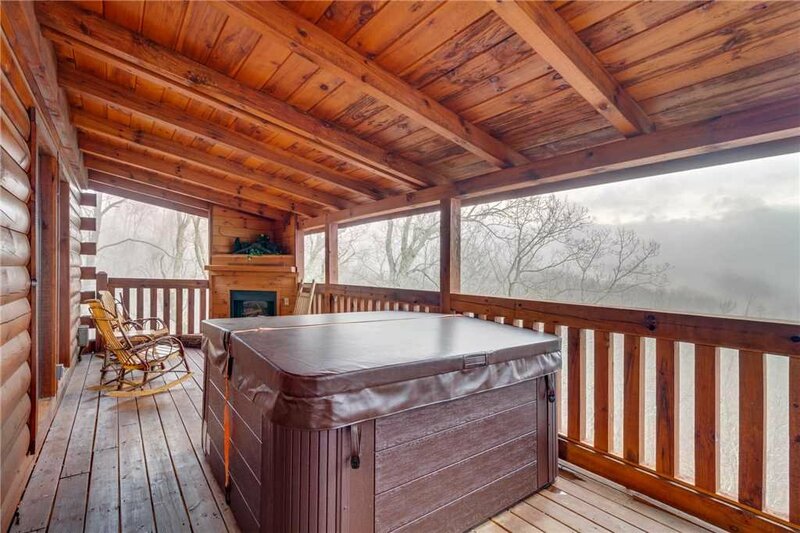 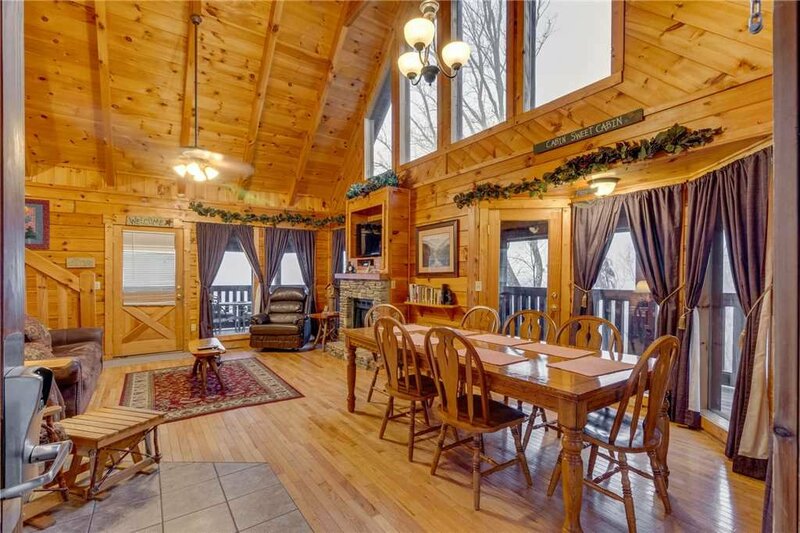 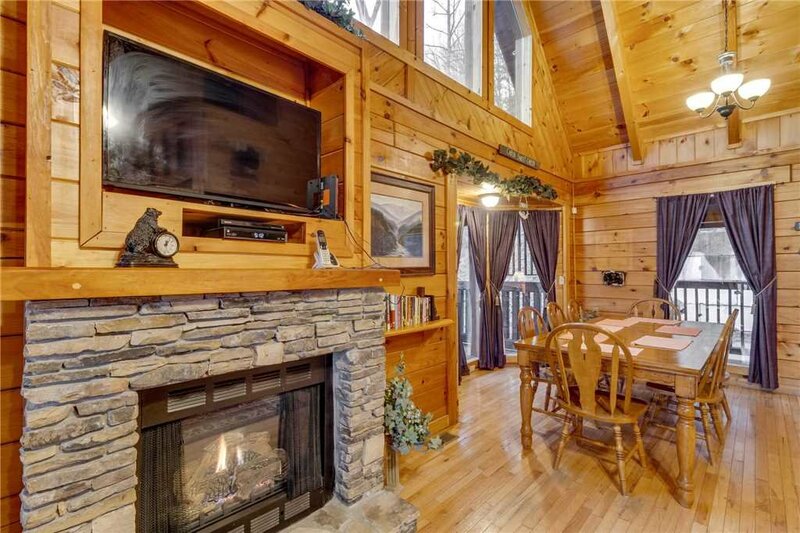 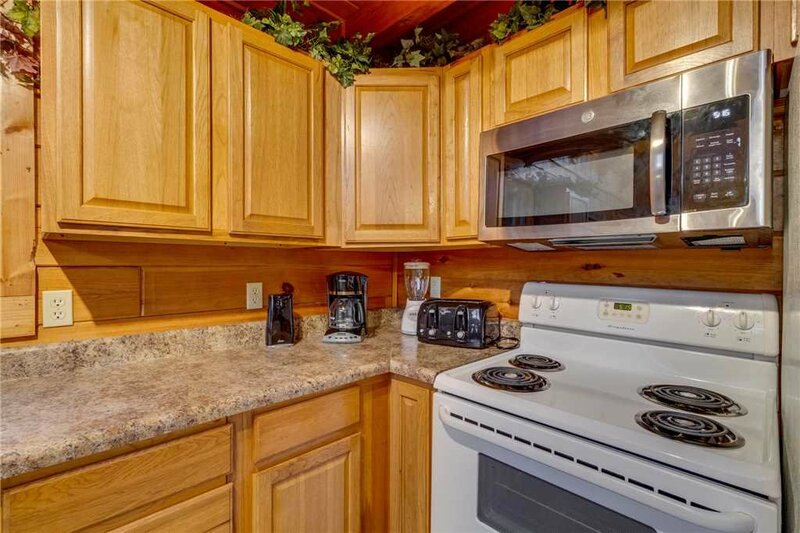 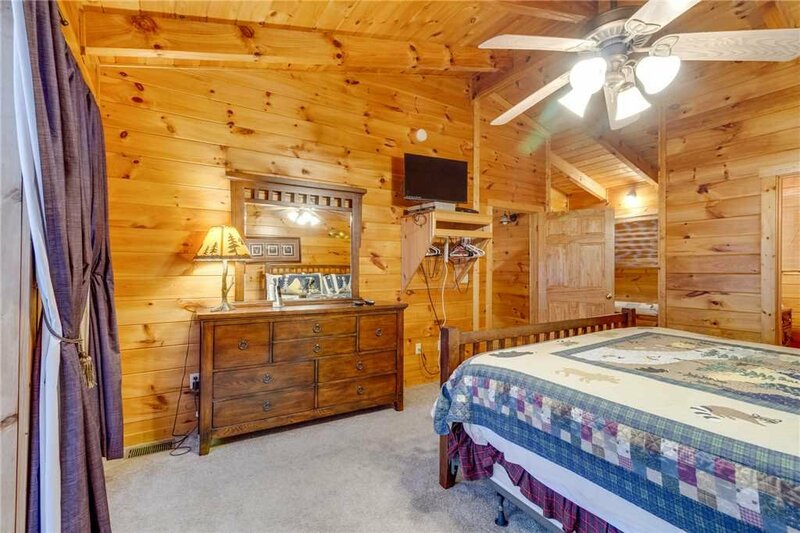 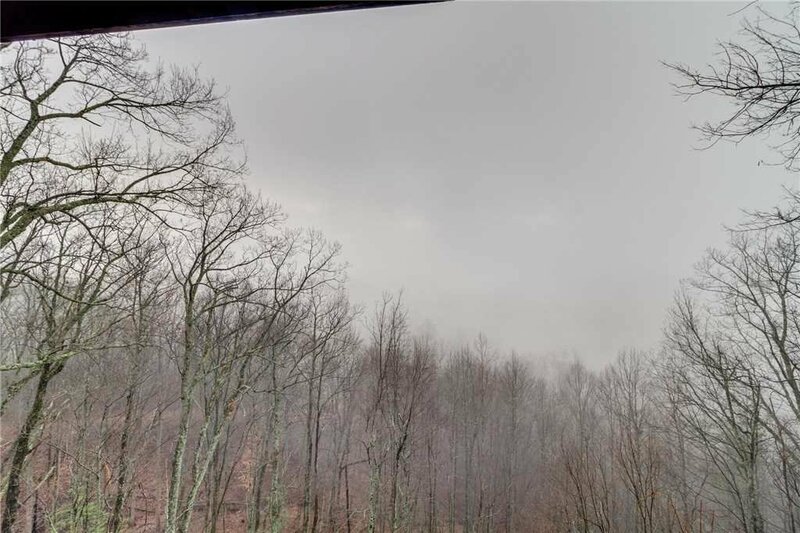 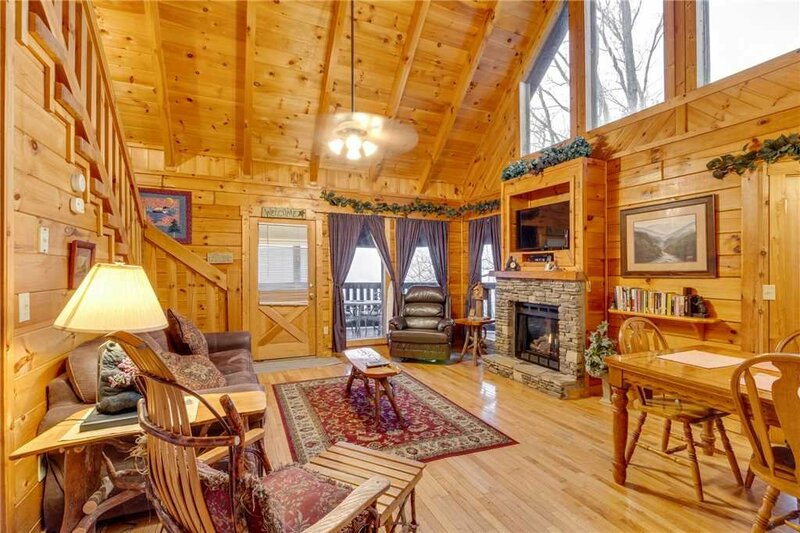 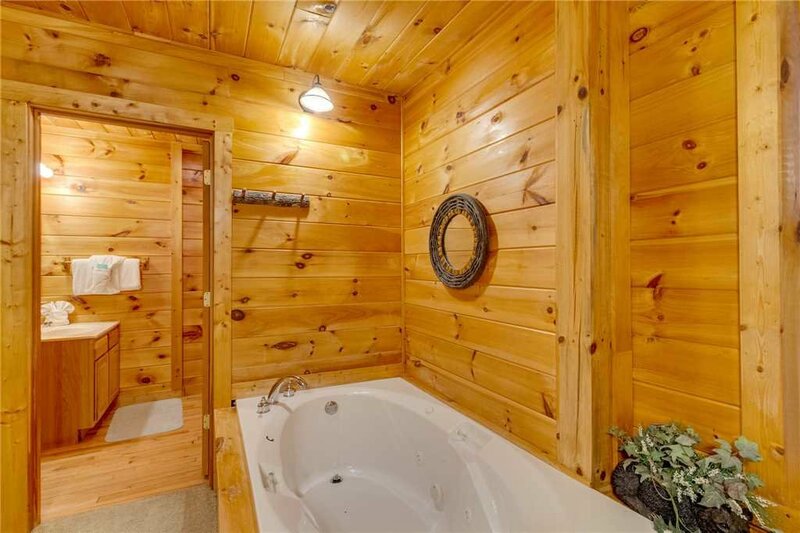 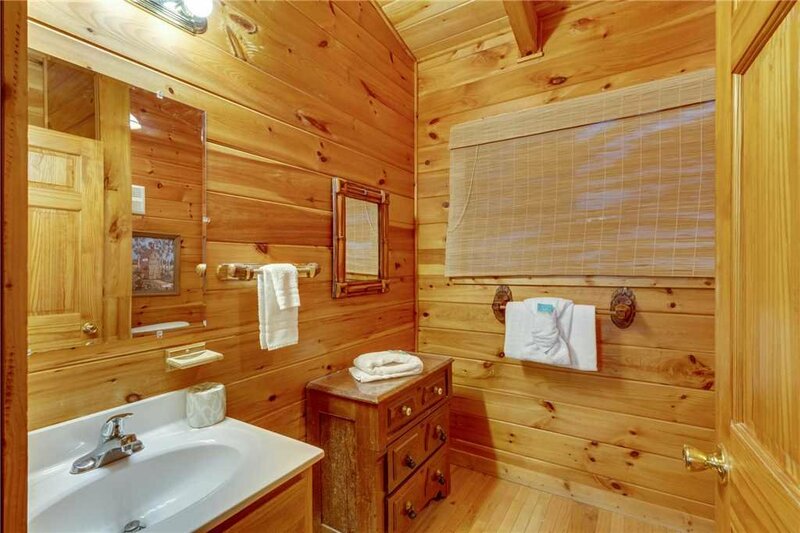 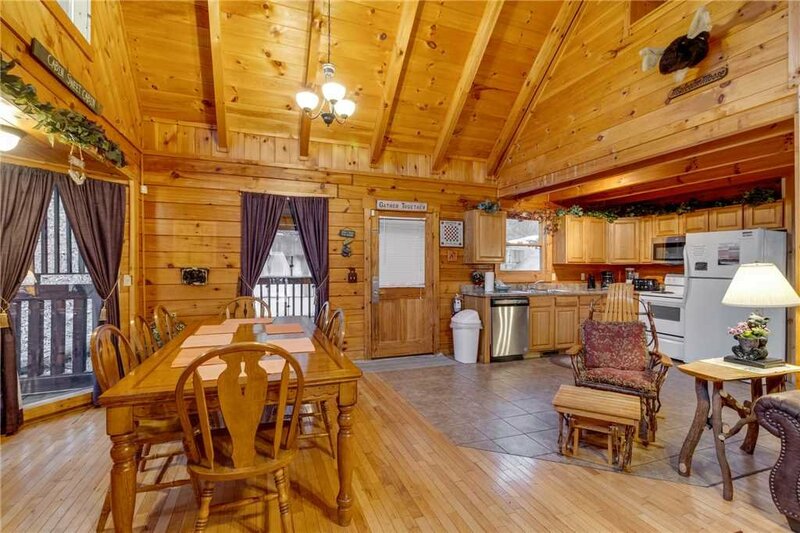 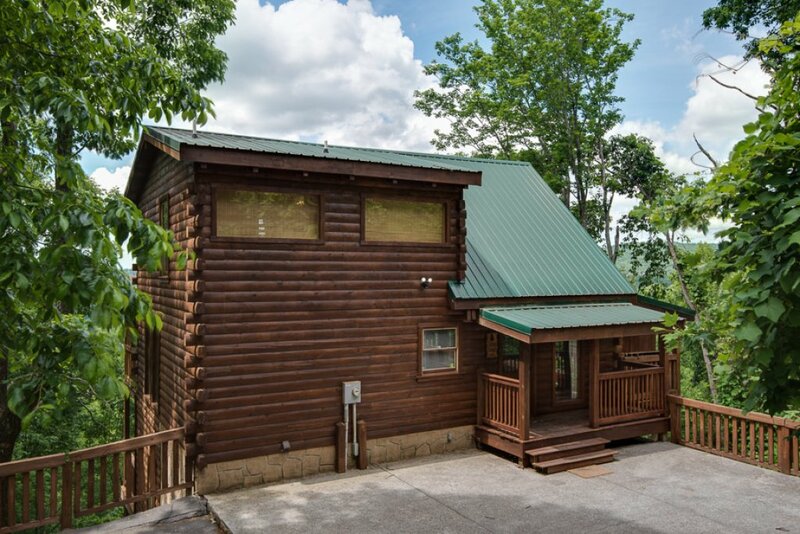 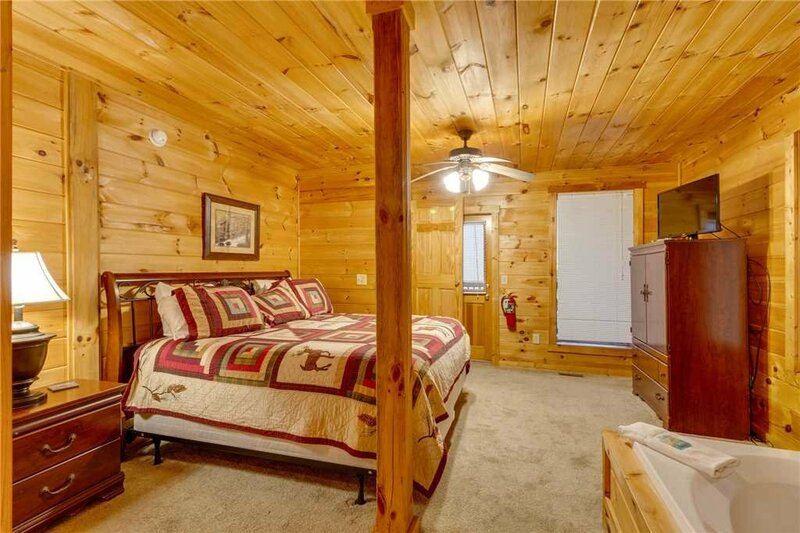 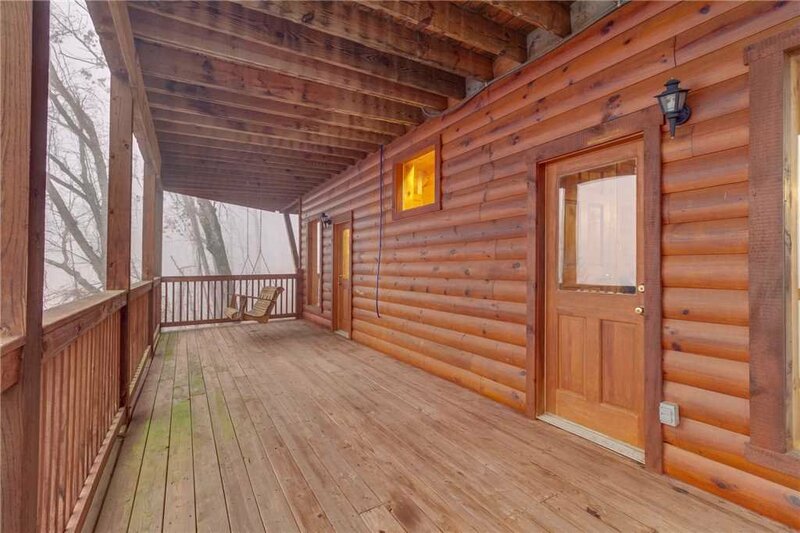 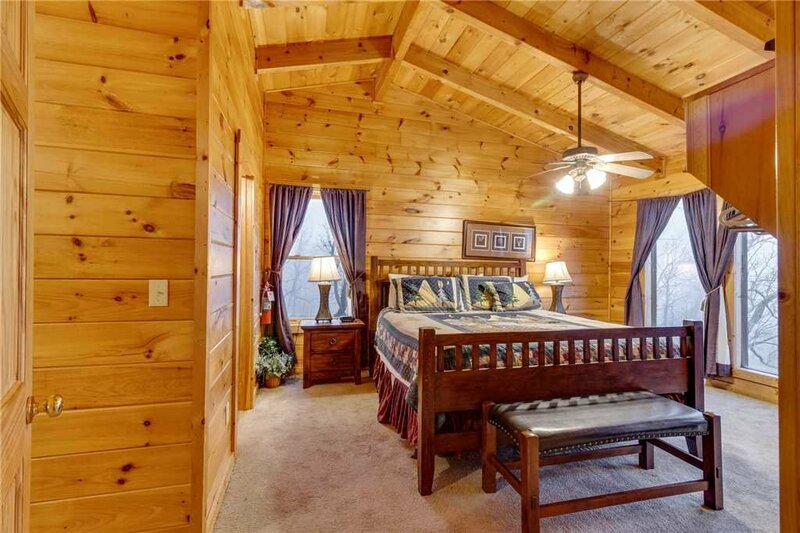 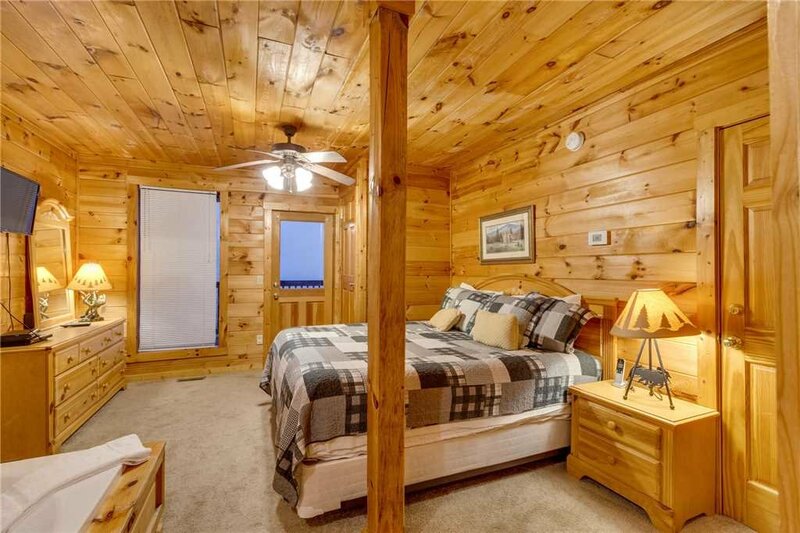 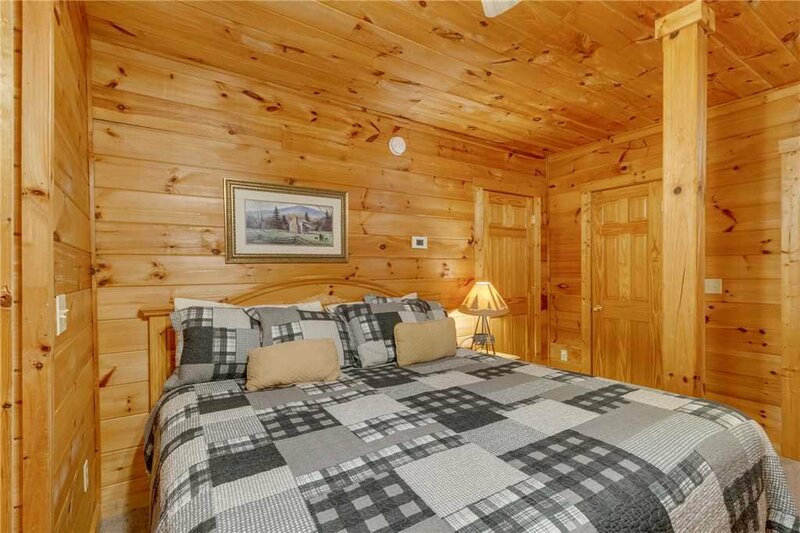 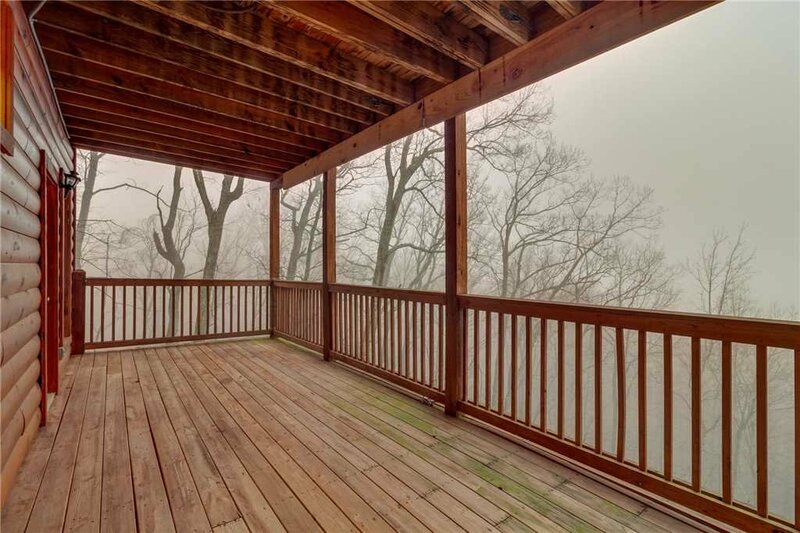 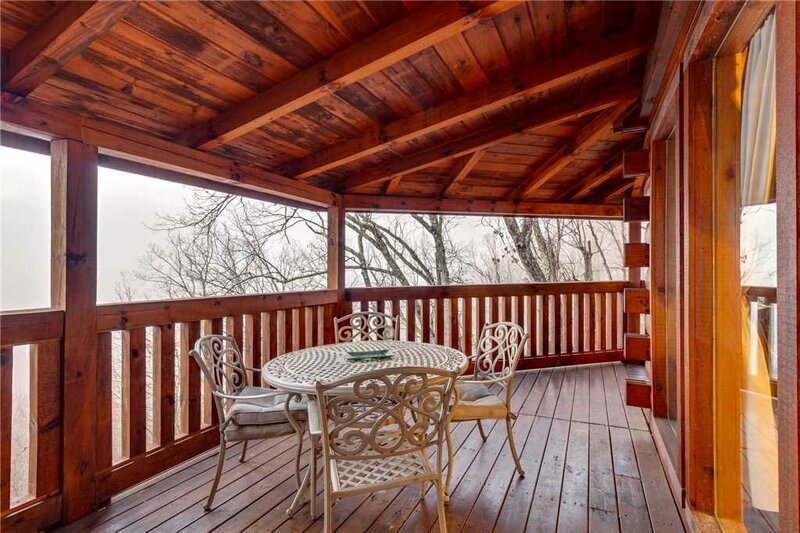 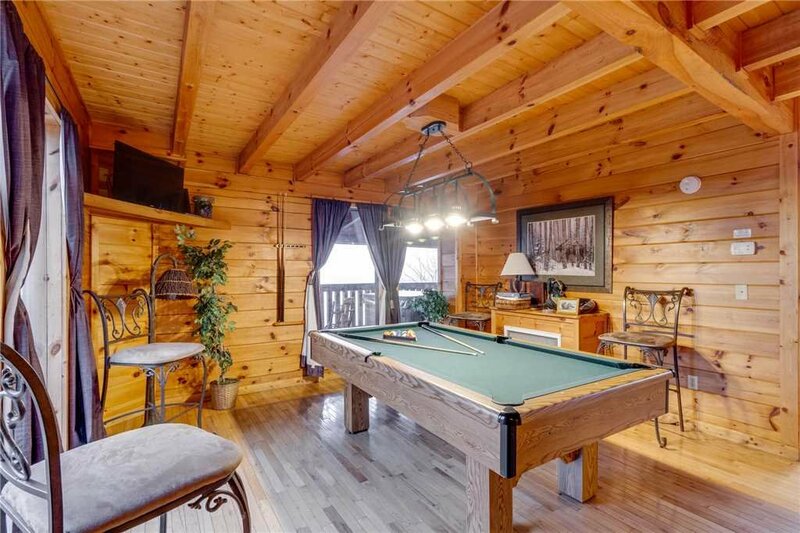 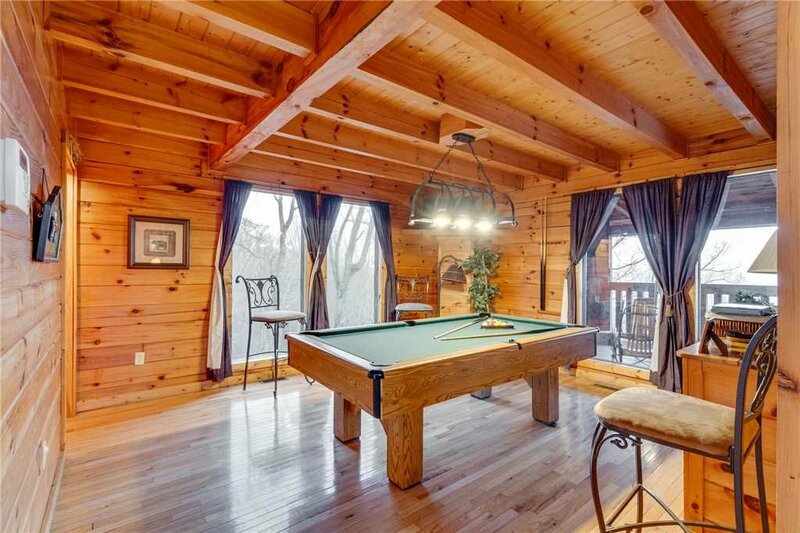 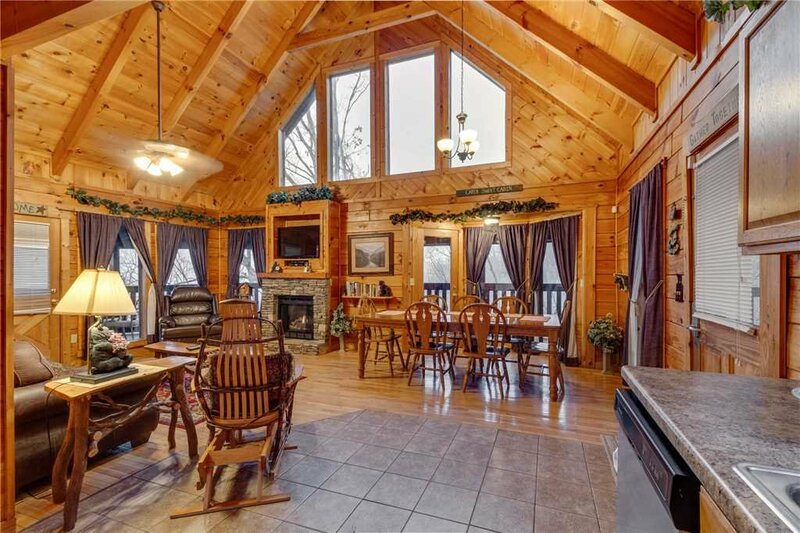 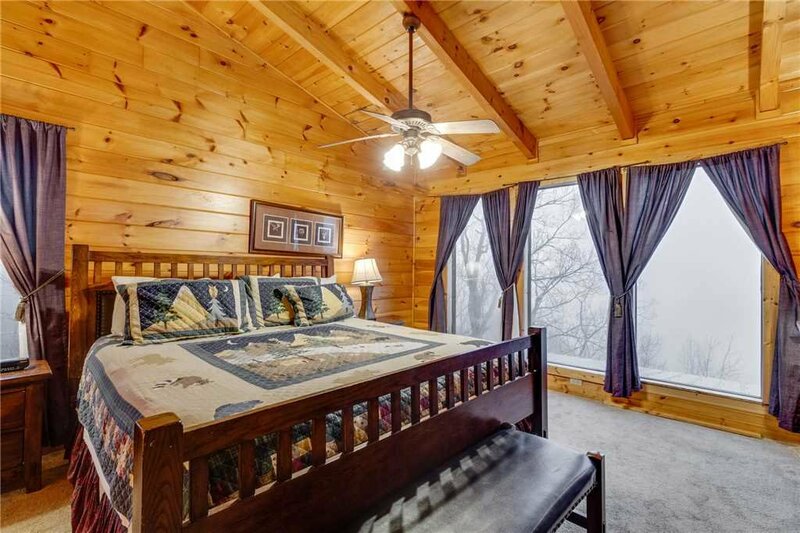 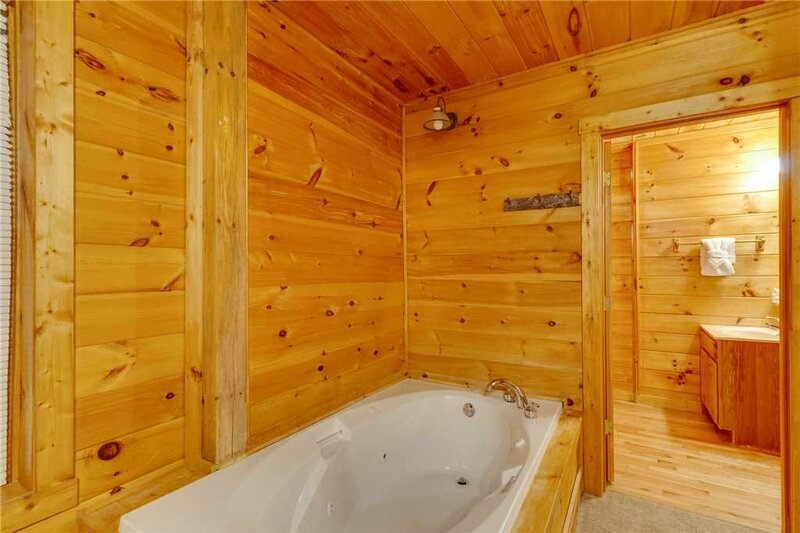 Located in Gatlinburg, this 3-bedroom, 4-bathroom cabin spaciously sleeps 8 people with ease with 3 king sized bedrooms and a queen sized sofa pull-out. 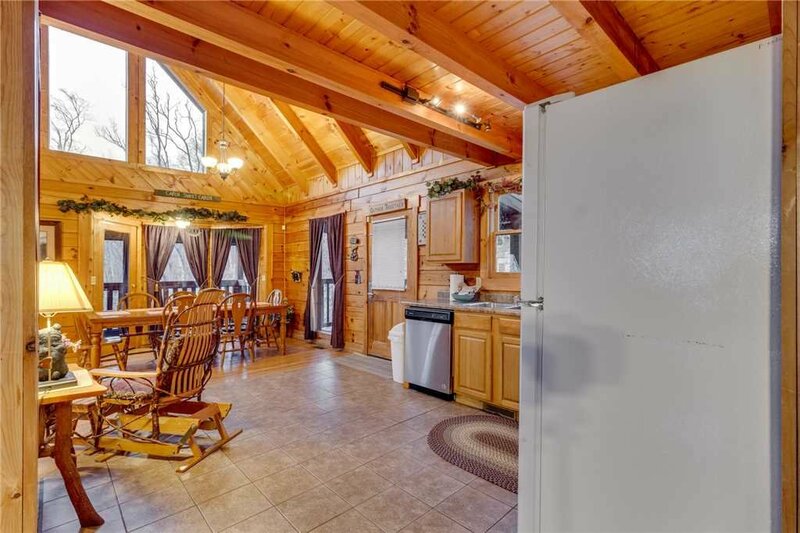 Gather around the dinner table to eat together with seating for 8 and the kitchen offers all the essentials to prepare delightful meals. 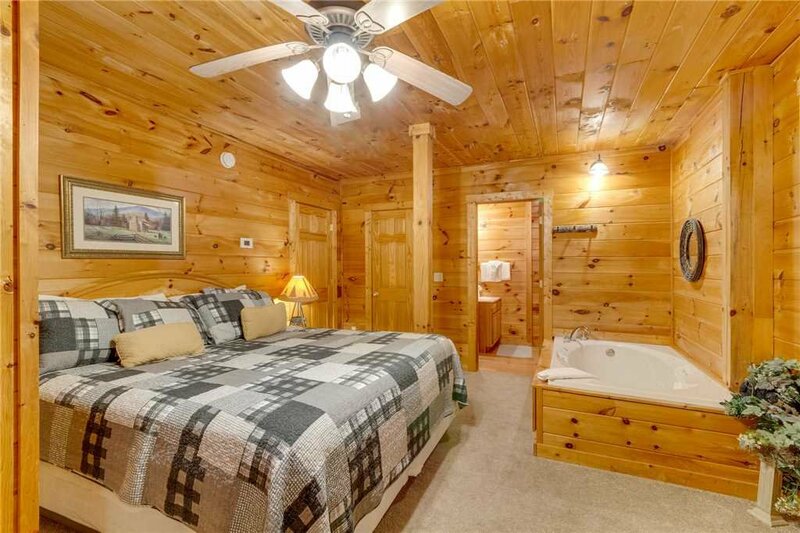 All three bedrooms offer a king-sized bed with a jetted tub and attached bathroom, plus deck access. 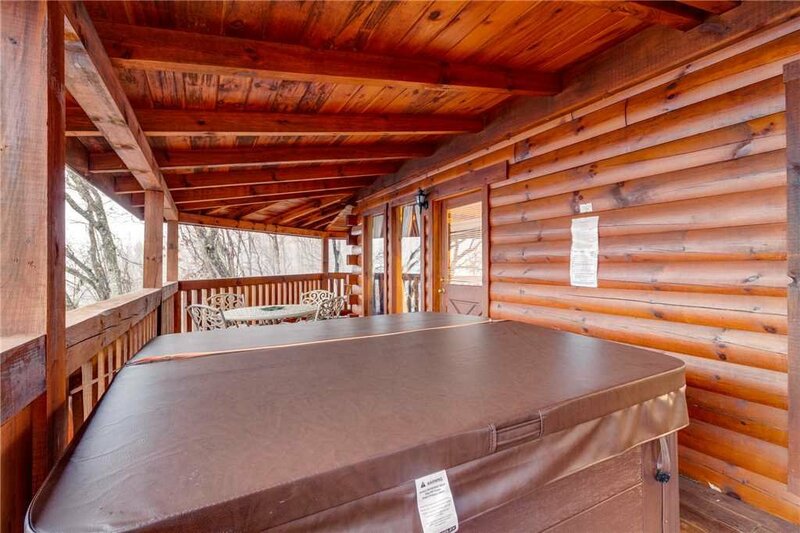 Head outdoors to the roomy deck overlooking the striking mountains to enjoy the outdoor gas fireplace, private hot tub and rocking chairs, a perfect spot to watch the stars shine and fireflies twinkle. 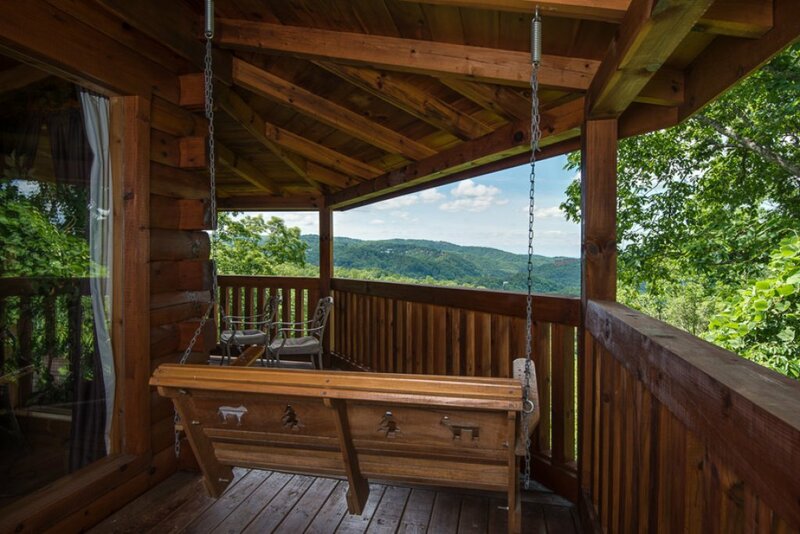 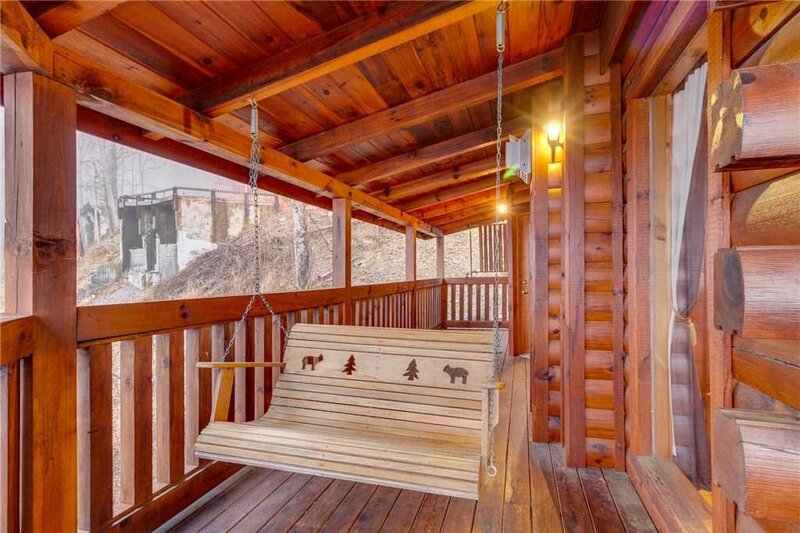 Dine at the patio table or swing on the porch swing with your morning coffee. 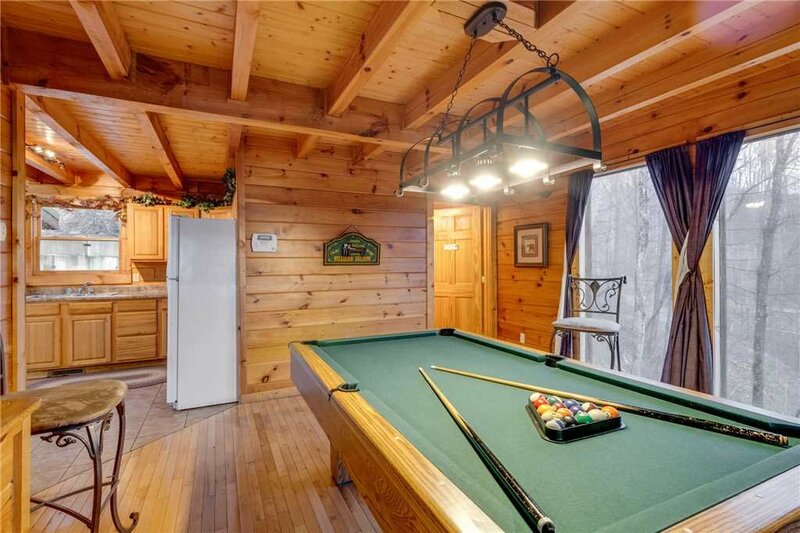 Other amenities include a park style charcoal grill, a washer and dryer and a pool table. 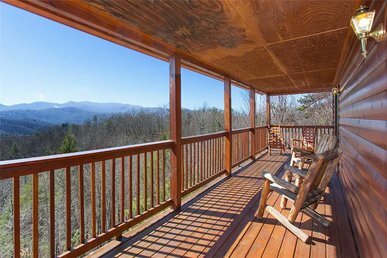 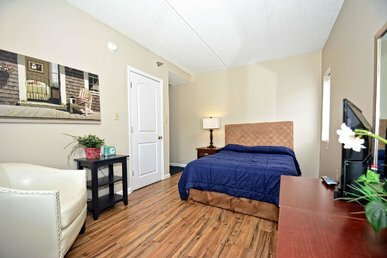 Less than 2 miles from the Gatlinburg Parkway and just a short drive to the entrance of the Great Smoky Mountains. 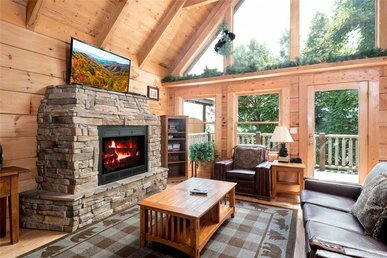 With its scenic setting and unbeatable extras, this ideally located cabin is the perfect mountain getaway base. 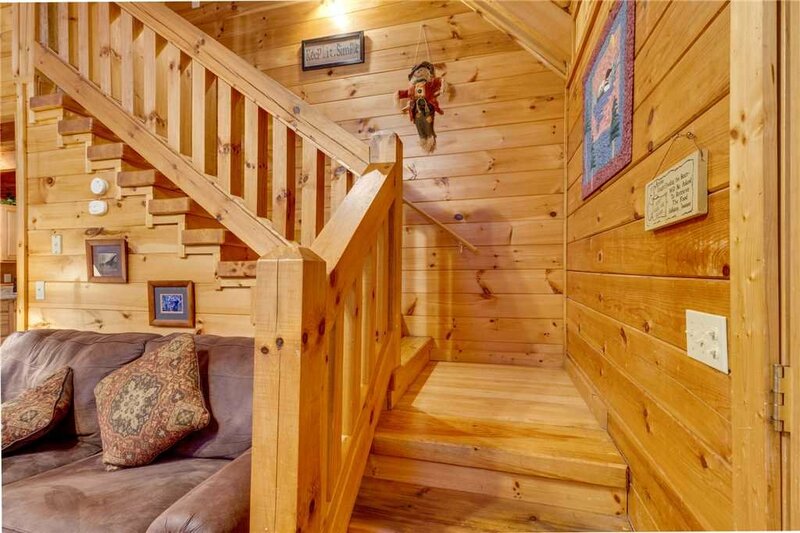 Be in the heart of downtown Gatlinburg within a few moments to visit Ripley’s Aquarium of the Smokies, Ripley’s Believe It or Not Odditurium or the Haunted Mansion. 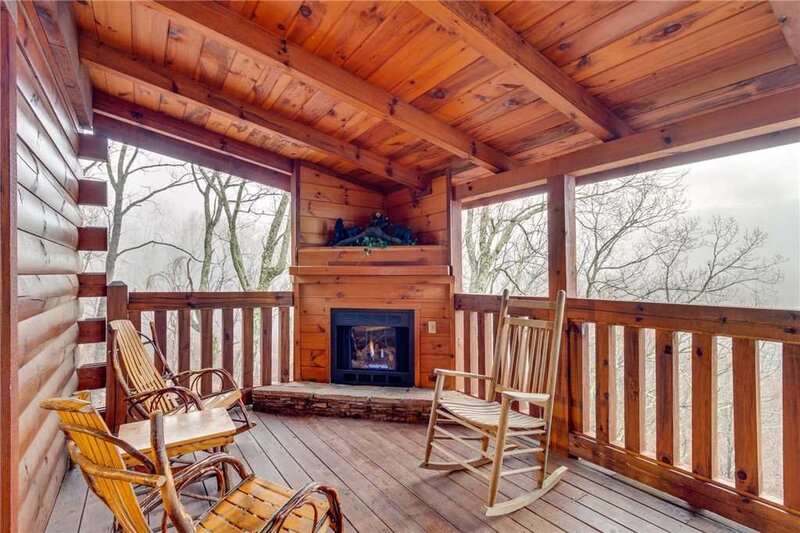 Make time to tour along the Smoky Mountain Arts and Crafts Community with over 100 local artisans and a wide variety of art galleries, pottery barns and active workshops. 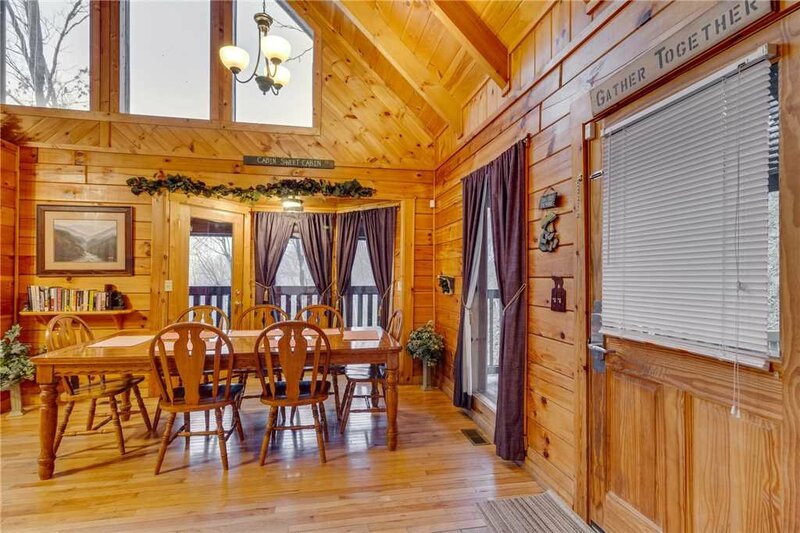 Have a wonderful meal in a historic log cabin setting with Greenbrier Restaurant and for breakfast the place to eat is Flapjack’s Pancake Cabin. 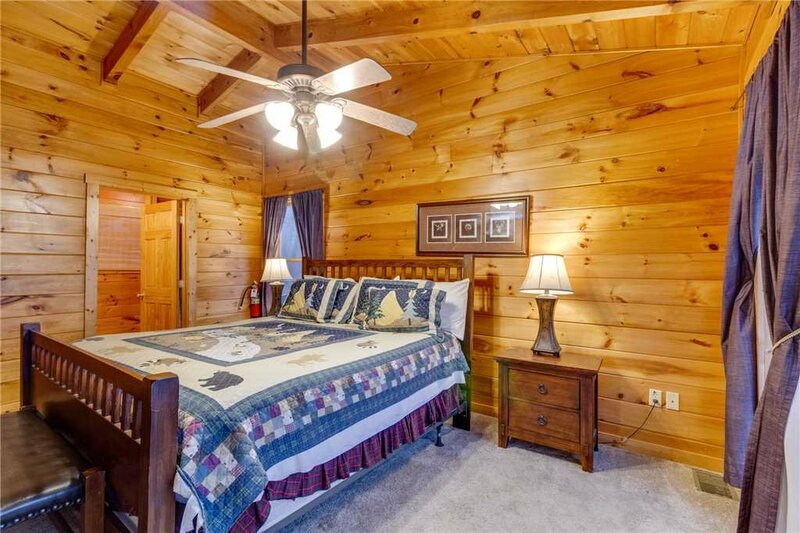 Just over 15 minutes away is Pigeon Forge with an outstanding family friendly atmosphere. 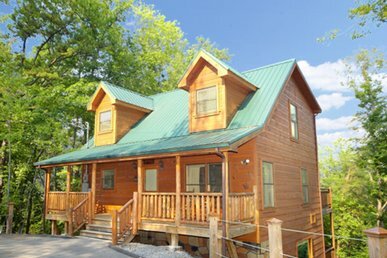 Be sure to visit Dollywood, one of America’s most loved theme parks or WonderWorks, an indoor amusement park with interactive exhibits. 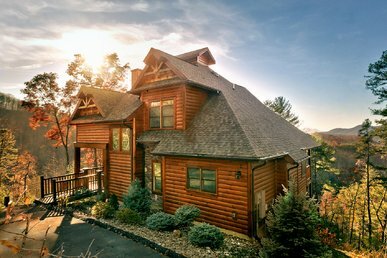 Dixie Stampede gives you a show you’ll never forget with an authentic four course Smoky Mountain meal. 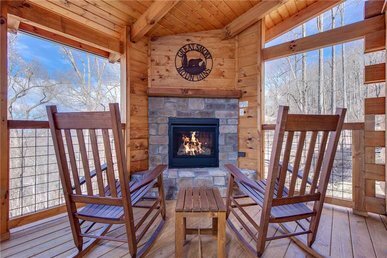 Visit the largest winery in Tennessee and sample the variety with Mountain Valley Winery or visit the Island of Pigeon Forge to find the Ole Smoky Moonshine Barn to test the many flavors. 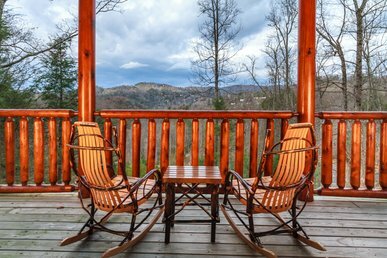 Staying at the foothills of the Great Smoky Mountains puts you just steps away from infinite adventure undertakings each day. 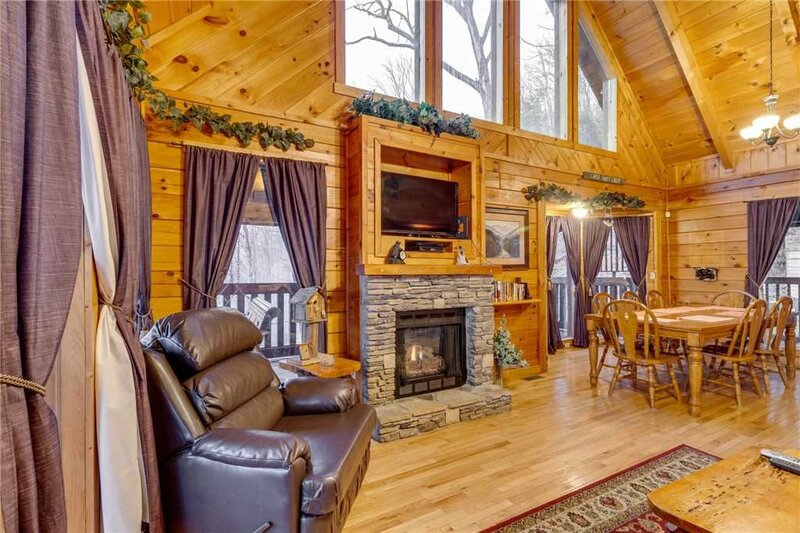 Voyage along the Pigeon River by whitewater rafting with Smoky Mountain Outdoors, leisurely float along the Little Pigeon River tubing with River Romp or fly through the sky zip-lining with Adventure Parks Ziplines. 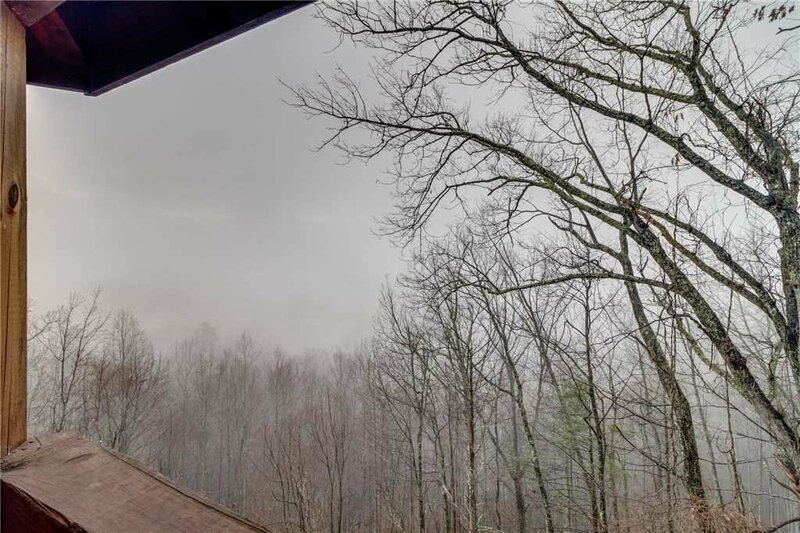 Journey to the top of the world along the paved path to Clingmans Dome for a 360 degree spectacular view of the Smoky Mountains. 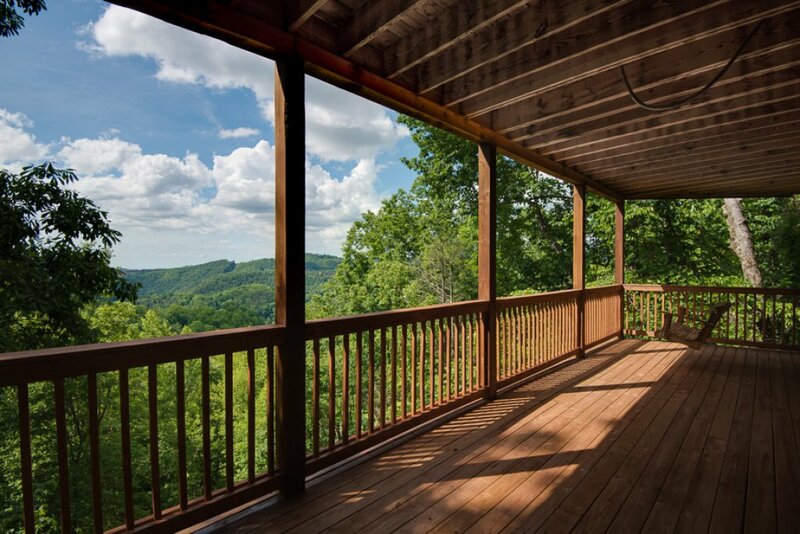 Join up with the Appalachian Trail as it crosses at its highest point along the trail. 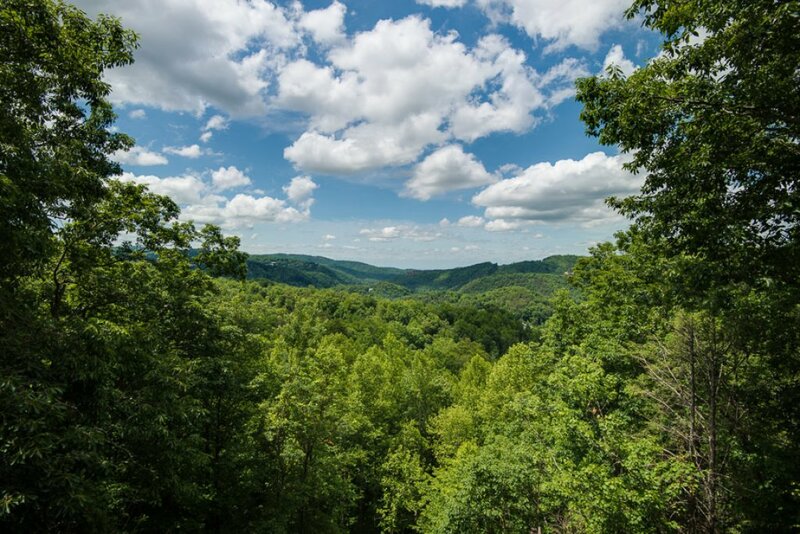 No matter your choice, adventure awaits.